Examining the role played by ideology, internal politics and key figures within Sudan after the 1989 coup, this book analyses policy-making in the Sudanese administration in depth and studies its effect on international and domestic politics and foreign policy. The military coup undertaken in June 1989 by the Sudanese Islamist movement, known to them as the ‘National Salvation Revolution’, established Sudan as a central actor in the instability of the region. This book explores the foreign policy, international and domestic politics of the new government, from post-coup Sudan to the present day. The intriguing political issues in Sudanese foreign policy during the period pose many questions regarding the dynamics of the government’s domestic and international policy-making. 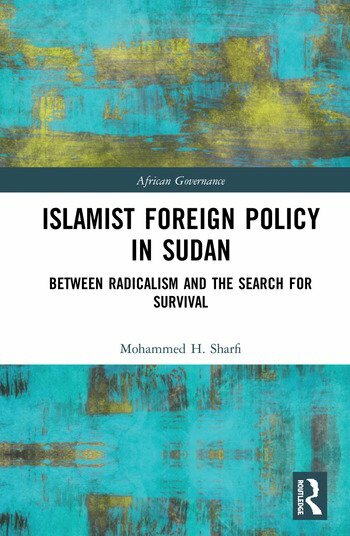 Studying the fragmentation of the Islamist movement into various political bodies, this book examines the role of foreign policy as a contentious point of Sudanese domestic politics. Islamist Foreign Policy in Sudan also looks at the major factors in the relations of Sudan, such as the civil war, terrorism, and human rights issues. Islamist Foreign Policy in Sudan will be of interest to students and scholars of international relations, African politics, human rights studies and Islamic studies. Mohammed Sharfi is a Senior Consultant at the Diplomatic Institute of the State of Qatar Foreign Ministry. He previously worked for the United Nations in Sudan and Switzerland as Information Analyst and Human Rights Officer.